The central bank held the benchmark lending rate steady at 1% today, meaning variable mortgage holders can again breathe a sigh of relief. The prime lending rate follows the benchmark rate, and, thus, will remain at 3% as well. 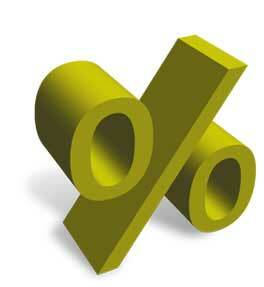 The prime rate is used to price variable mortgage rates, which are often stated as a discount or premium to prime. So, variable mortgage rates will remain unchanged, with the lowest 5-year rate available on RateHub.ca at 2.1% or .9% discount to prime. We have also seen discounted fixed mortgage rates fall in the last week after a big jump weeks earlier. Bank of Canada Governor Mark Carney said the rate hold ‘leaves considerable monetary stimulus in place’, and ‘any further reduction in monetary policy stimulus would need to be carefully considered.’ This suggests the central bank may hold off on an interest rate hike at the next interest rate announcement as well. Supporting the continued stimulus, Carney cited global unemployment levels, unrest in the Middle East and North Africa, and the strong Canadian dollar. Canada’s own jobless rate is at 7.8% despite a rebound in job creation since the recession. He did note, however, Canadian households seem to be acting on debt reduction and curbing consumption in preparation for the inevitable return to higher interest rates. Recent reports revealing all-time high household debt levels have caused Carney to speak out against the issue in the past, and the government to intervene by way of the new mortgage rules to take effect March 18 and April 18, 2011. The next scheduled interest rate announcement is April 12, 2011; however, given Carney’s comments above, we may be able to escape rate increases yet again.